Prices a portfolio of LIBOR swaptions on a LIBOR Market Model using a Monte-Carlo simulation and computes Greeks. Prices a portfolio of American call options using a Binomial lattice (Cox, Ross and Rubenstein method). Prices a portfolio of European options using the Black-Scholes-Merton formula. Prices a portfolio of up-and-in barrier options using a Monte-Carlo simulation. This benchmark uses a portfolio of 15 swaptions with maturities between 4 and 40 years and 80 forward rates (and hence 80 delta Greeks). To study the performance, the number of Monte-Carlo paths is varied between 128K-2,048K. This benchmark application prices a portfolio of American call options using a Binomial lattice (Cox, Ross and Rubenstein method). For a given size N of the binomial tree, the option payoff at the N leaf nodes is computed first (the value at maturity for different stock prices, using the Black-Scholes model). Then, the pricer works towards the root node backwards in time, multiplying the 2 child nodes by the pre-computed pseudo-probabilities that the price goes up or down, including discounting at the risk-free rate, and adding the results. After repeating this process for all time steps, the root node holds the present value. This binomial pricing method is applied for every option in the portfolio. For this benchmark, we use 1,024 steps (the depth of the tree). We vary the number of options in the portfolio to study the performance. This benchmark application prices a portfolio of European options using the Black-Scholes-Merton formula. The pricer calculates both the call and put price for a batch of options, defined by their current stock price, strike price, and maturities. It applies the Black-Scholes-Merton forumla for each option in the portfolio. For this benchmark, we repeat the application of the formula 100 times to increase the overall runtime for the performance measurements. The number of options in the portfolio is varied to study the performance. This benchmark application prices a portfolio of up-and-in barrier options with European exercise, using a Monte-Carlo simulation. The Black-Scholes model is used to generate the paths. That is, in every Monte-Carlo path, the stock value at a fixed grid of time steps is computed using a geometric Brownian motion with constant volatility and the risk-free rate. If the stock value crosses the barrier anywhere along the path, the option becomes valid and its payoff is the positive value of the difference between the stock at maturity and the option’s strike. Otherwise, the option’s payoff is zero. Then the payoff of each option is discounted to the valuation date using the risk-free rate and averaged across the paths. This yields the net present values of all options. This benchmark uses 50,000 Monte-Carlo paths and 50 time-steps. The number of options in the portfolio is varied to study the performance. This application benchmarks the training of a deep Recurrent Neural Network (RNN), as illustrated below. RNNs are at the core of many deep learning applications in finance, as they show excellent predition performance for time-series data. For benchmark purposes, we focus on a single layer of such network, as this is the fundamental building block of more complex deep RNN models. We use Tensorflow, optimised by Nvidia in their NGC Docker container. This application benchmarks the inference performance of a deep Recurrent Neural Network (RNN), as illustrated below. This application benchmarks the training of a deep Long-Short Term Memory Model Network (LSTM). This is a modified version of the vanialla RNN, to overcome problems with vanishing or exploding gradients during back-propagation. This allows LSTMs to learn complex long-term dependencies better than RNNs. RNNs are at the core of many deep learning applications in finance, as they show excellent predition performance for time-series data. 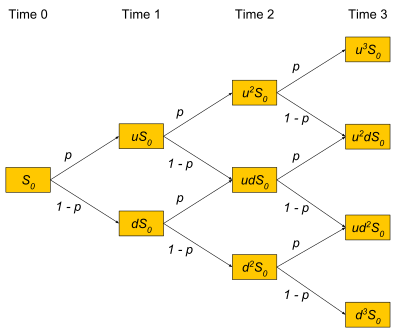 In fact, LSTMs are often the perferred form of RNN networks in practial applications. For benchmark purposes, we focus on a single layer of such network, as this is the fundamental building block of more complex deep LSTM models. We use Tensorflow, optimised by Nvidia in their NGC Docker container. This application benchmarks the inference performance of a deep Long-Short Term Memory Model Network (LSTM). This is a modified version of the vanialla RNN, to overcome problems with vanishing or exploding gradients during back-propagation. This allows LSTMs to learn complex long-term dependencies better than RNNs. perferred form of RNN networks in practial applications. as this is the fundamental building block of more complex deep LSTM models. We use Tensorflow, optimised by Nvidia in their NGC Docker container. The application is executed repeatedly, recording the wall-clock time for each run, until the estimated timing error is below a specified value. The full algorithm execution time from inputs to outputs is measured. This includes setup of accelerators and data transfers if applicable. The speedup vs. a sequential implementation on a single core is reported.